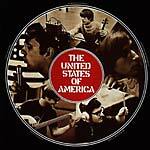 "Esoteric Recordings are pleased to announce the release of a newly remastered and expanded edition of the classic 1968 psychedelic rock album by The United States Of America." "Mastered & cut at Abbey Road studios. Fully restored artwork and liner notes withexclusive interview. Esoteric Recordings are pleased to announce the release of a newly re-mastered 180 gram vinyl lp edition of the classic 1978 ambient masterpiece Blake's New Jerusalem by Tim Blake. Tim first came to prominence as a member of Gong, where his synthesiser experimentation and mastery was demonstrated on albums such as Flying Teapot, Angel's Egg and You. He would also join Hawkwind from 1979 - 1980 and from November 2007. After departing Gong in 1975 he teamed up with French lighting designer Patrice Warrener to form Crystal Machine, pioneering the use of lasers and synthesisers in a live setting. 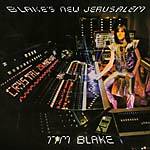 Blake's debut solo album, Crystal Machine, was originally released in 1977 on the French experimental label Egg. 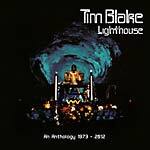 Tim followed this with arguably his finest work, Blake's New Jerusalem in 1978. Unlike his previous work, the album featured songs and the lengthy title-track would dominate the album's second side. New Jerusalem also featured the guest appearance of Jean-Philippe Rykiel on mini-moog. Tim Blake would later perform both 'Lighthouse' and 'New Jerusalem' as a member of Hawkwind when he joined the band the following year. Now regarded as a truly pioneering work, Blake's New Jerusalem has been newly re-mastered and cut at Abbey Road studios for this first ever 180 gram vinyl LP reissue, which is a facsimile of the original 1978 Egg LP release." 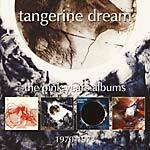 "Esoteric Recordings' Reactive label is pleased to announce the release of a newly re-mastered 4 CD clamshell boxed set which gathers together the first four legendary albums by Tangerine Dream, originally released on the Ohr label in Germany between 1970 and 1973, known by fans as 'The Pink Years' albums. Electronic Meditation was recorded in Berlin in October 1969 and featured the first Tangerine Dream line-up of Edgar Froese (guitars, organ, tapes, sound effects), Klaus Schulze (drums, percussion) and Conrad Schnitzler (cello, violin, typewriter). Upon its release in 1970 the album would define a genre of music and herald the massive creative musical explosion that would emerge in Germany in the early 1970s. Alpha Centauri was recorded at the Dierks studio in Stommeln and featured a line-up of Edgar Froese, Chris Franke and Steve Schroyder with guests Udo Dennebourg (flute) and Roland Pualyck (synthesiser). Released in 1971 the influence of the album was immense, with the band creating imaginative soundscapes previously unheard on record. Zeit, released in August 1972, a double album with one lengthy track per side, was recorded at the Dierks studio once again and featured a guest appearance by Florian Fricke of another legendary ambient German group, Popol Vuh. One of Tangerine Dream's finest early albums, Zeit was enthusiastically championed in the UK by DJ John Peel and was the group's major breakthrough. Atem, released in 1973, was the band's last release on the Ohr label & heralded the beginning of Tangerine Dream's wider international acclaim. Atem enjoyed success outside of Germany and eventually led to the group signing to the newly formed Virgin label later in 1973. This clamshell box of The Pink Years Albums 1970 - 1973 features Electronic Meditation, Alpha Centauri, Zeit, and Atem packaged in replica card sleeves and also includes a poster." "Esoteric Recordings are pleased to announce the release of an expanded 2 disc edition of the acclaimed Curved Air album Second Album. Released in 1971 the album featured a line-up of Sonja Kristina (vocals, acoustic guitar), Darryl Way (violin, piano), Francis Monkman (guitar, keyboards, VCS3), Florian Pilkington-Miksa (drums) and new member Ian Eyre (bass). The album featured the classic hit single 'Back Street Luv' along with such classic tracks as 'Young Mother', 'Jumbo', 'Puppets', 'Everdance' and 'Piece Of Mind' and was an acclaimed hit album in the UK and Europe. This expanded two-disc CD / DVD edition of Second Album includes five bonus tracks taken from a BBC Radio John Peel session in January 1971 and the entire live performance recorded for the BBC's John Peel's Sunday Concert in March 1971. The release has been re-mastered by Francis Monkman and also includes an additional DVD (NTSC / Region Free) featuring a recently discovered and previously unreleased promotional film from 1971, Warner Brothers presents Curved Air, featuring the tracks 'It Happened Today', 'Vivaldi' and 'Screw', along with the band's appearance filmed for the French TV show Pop Deux in July 1971 and their performances for the German TV show Beat Club the same year. Second Album restores the original album artwork and features a lavishly illustrated booklet with an essay by Malcolm Dome featuring exclusive interviews with Sonja Kristina, Darryl Way and Francis Monkman." 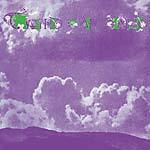 "Released in 1974 by Gull Records, Things To Come was the brainchild of musicians Ken Elliott and Kieran O'connor (previously with the pioneering group Second Hand).The conceptual album was recorded at Chalk Farm Studios in London and was the result of many hours of meticulous overdubbing, with Ken Elliott playing an arsenal of keyboards and utilising the latest synthesiser technology of the day (in addition to providing vocals), whilst Kieran O'Connor played a multitude of percussion. The finished work was truly ground-breaking and in hindsight was very much ahead of its time, proving inspirational to a new generation of musicians. A stunning work of technical complexity, Things To Come was critically acclaimed and led to Seventh Wave becoming a fully-fledged touring band that would include Hugh Banton (of Van Der Graaf Generator) among their ranks. The album has now been re-mastered from the Gull master tapes and includes a bonus track of the single version of 'Metropolis' (previously unreleased on CD). This new edition of Things To Come restores the original album artwork and features an essay by Malcolm Dome and exclusive interviews with Ken Elliott, Hugh Banton and producer Neil Richmond." 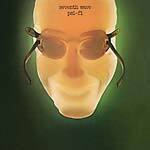 "Released in 1975 by Gull Records, Psi-Fi was the second album by Seventh Wave, initially a studio project which was the brainchild of musicians Ken Elliott and Kieran O'connor (previously with the pioneering group Second Hand). Psi-Fi followed on from the acclaimed Things to Come (released the previous year) and was the result of many sessions at Chalk Farm Studios in London. 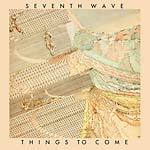 Unlike the previous Seventh Wave album, Psi-Fi saw keyboard player / vocalist Ken Elliott and percussionist Kieran O'Connor were joined in the studio by such guests as keyboard player Hugh Banton (of Van Der Graaf Generator), vocalists Rob Elliott and Pepi Lemer and bass guitarist Steve Cook. Psi-Fi was another ground-breaking album and was critically acclaimed upon its release, being very much ahead of its time, proving inspirational to a new generation of musicians. The album has now been re-mastered from the Gull master tapes and includes two bonus tracks; the single versions of 'Manifestations' and 'Only the Beginning (Part 1)' (previously unreleased on CD). This new edition of Psi-Fi restores the original album artwork and features an essay by Malcolm Dome and exclusive interviews with Ken Elliott, Hugh Banton and producer Neil Richmond." "Esoteric Recordings are pleased to announce the release of a remastered 2 CD anthology comprising all the recordings made for the Dawn label by the ground-breaking Progressive Jazz ensemble, The Trio. Coming together in 1969, The Trio featured John Surman (baritone & soprano saxes, bass clarinet), Barre Phillips (bass) and Stu Martin (drums). All three musicians had earned fine reputations for excellence in the Jazz world and had a desire to push musical boundaries in their work and had a desire to appeal to the emerging 'progressive' music scene. Performing on bills with rock acts such as Captain Beefheart and Yes, The Trio signed to Pye Records' newly formed progressive imprint, Dawn Records in 1970. Their self-titled double album was produced by Peter Eden and released in July of that year. 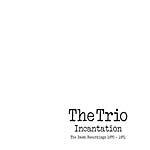 Aimed squarely at a progressive audience, The Trio was critically acclaimed. The 1971 album Conflagration saw the three musicians joined by a host of celebrated musicians for the sessions at Pye Studios in Marble Arch, London. Notable guests included Chick Corea, Dave Holland, John Marshall and Mark Charig among others. This new 2 CD anthology has been re-mastered from the original Dawn Records' tapes and includes a booklet with an essay by Sid Smith featuring exclusive interviews with John Surman, Barre Phillips and producer Peter Eden." "Esoteric Recordings are pleased to announce the release of a new re-mastered and expanded edition of the legendary album First Utterance by Comus. Released in February 1971 on Pye Records' progressive rock label Dawn, First Utterance was a darkly stunning masterpiece by Comus, a group who arguably defy being classified in any genre. 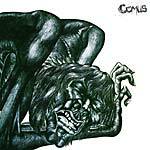 Too dark, loud and eccentric to be folk, but too unconventional to be classified as a rock band, the influence of Comus' work extended far beyond their short life. Mikael Akerfeldt of Swedish band Opeth was so enamored with the band that he named Opeth's 1998 album My Arms, Your Hearse from the lyrics of the Comus song 'Drip, Drip'. Featuring a line-up of Glen Goring (6-string Acoustic Guitar, 12 string Acoustic Guitar, Slide & Electric Guitar, Hand Drums & Vocals), Andy Hellaby (Bass), Colin Pearson (Violin & Viola), Roger Wooton (Acoustic Guitar, Lead Vocals) Rob Young (Flute, Oboe & Hand Drums) and Bobbie Watson (Vocals, Percussion), Comus were regular performers at David Bowie's Arts Lab in Beckenham, Kent in 1969. Earning a reputation on the UK college and university live music circuit, Comus signed to Dawn Records in 1970, releasing the album First Utterance and the 'Diana' maxi single in 1971 before falling apart. Their 1971 album later attained a significant cult following and is regarded as one of the most interesting and influential releases on the Dawn label. This expanded and re-mastered reissue includes four bonus tracks taken from the 'Diana' maxi-single, along with the song 'All the Colours of Darkness', recorded during the First Utterance sessions. The booklet restores the original album artwork and features an essay by Malcolm Dome and interviews with band members." 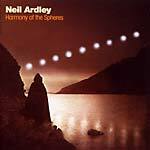 "Esoteric Recordings are proud to announce the first ever UK CD release of Neil Ardley's wonderful album Harmony of the Spheres. Having moved to London, Ardley studied arranging and composition from 1960 to 1961. He joined the John Williams Big Band as pianist, writing both arrangements and new compositions, and from 1964 to 1970 was the director of the newly-formed New Jazz Orchestra. Neil Ardley developed dual careers in music and in writing and publishing, both of which he continued until his death on February 23, 2004. Ardley based this 1978 album on the ancient idea of the harmony of the spheres, the idea that each planet produces a musical note related to its orbit. The album notably features Barbara Thompson and the skilled guitar playing of John Martyn over a rich orchestral sound mixing electronic keyboards with acoustic instruments and voices." Originally released in 1970, now on CD with extensive bonus tracks. "Keyboard player and vocalist Eddie Hardin and drummer Pete York had first played together in the second incarnation of the Spencer Davis Group, following Steve Winwood's departure to form Traffic. In 1969 Hardin & York struck out on their own to form a highly unique duo utilizing powerful Hammond organ work and percussion to record a series of wonderful albums in the progressive/jazz rock vein. The World's Smallest Big Band was their second album and featured recordings made at Olympic Studios and material recorded live at De Lane Lea studios in front of a small audience. A popular attraction in Europe, the record remains a noted highlight of their career. 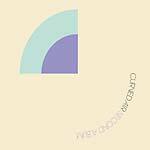 This Esoteric Recordings reissue includes eight bonus tracks." 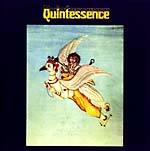 "Esoteric Recordings add to their recent reissue of Quintessence's first album for RCA Records with this, their final vinyl outing from 1972. Hailing from the heart of London's 'alternative underground' society in Notting Hill, Quintessence were inspired by Eastern philosophy and spiritual teachings creating a unique fusion of psychedelia, jazz and ethnic rock. Indweller saw them continue their musical explorations in this vein, creating a classic of the progressive/acid rock genre. The Esoteric remastered edition was produced from the original analog master tapes and features a booklet with liner notes and new essay." "Born in 1958, Ernesto de Pascale is an award-winning musician, disc-jockey and writer in his homeland. This is his first collaborative album with Ashley Hutchings, legendary member of Fairport Convention, Albion Band, Rainbow Chaser and a respected icon of British folk. My Land Is Your Land is the product of recording sessions in Tuscany with many respected Italian musicians and noted folk musician Ken Nicol. 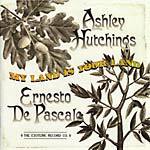 Inspired by Hutchings' love of all things Tuscan and driven by Ernesto De Pascale's enthusiasm, the resulting album is a wonderful fusion which at its best reflects Hutchings' superb musical pedigree and is certain to appeal to aficionados of Fairport Convention, the Albion Band and Hutchings' solo work." "Esoteric Recordings are proud to announce the release of the album Vulcan by the late Chris Wood, founder member of the legendary Traffic and flautist and saxophonist extraordinaire. Recorded just after the demise of Traffic in 1974, Vulcan was begun for Island Records but shelved in 1978. The sessions featured contributions from Steve Winwood and members of The Wailers, along with a live recording of Traffic performing the title track in 1974, but due to a change in musical fashion with the advent of Punk, the album failed to see the light of day. Island boss Chris Blackwell returned the tapes to Chris Wood in the late 1970s. Following Chris' untimely death in 1983 the tapes were passed on to his sister, Stephanie. Now, 25 years later, and after three years of research and preparation, Esoteric have pieced together the sessions in co-operation with Stephanie Wood to bring you Vulcan." "Perhaps better known for their later albums Theraphosa Blondi and the classic I Spider (both available on Esoteric Recordings), Fully Interlocking was the debut album by the band, prior to their transformation into a fully fledged progressive outfit. First released in 1968, the record has been described as having 'a tint of '60s psychedelia with jazz-influences and a few early progressive tendencies.' Fronted by American vocalist John L. Watson, the album receives its first CD release on Esoteric." "Esoteric Recordings are happy to announce the release of this 'lost classic' of progressive rock, the sole offering by the National Head Band. Formed in 1969 from the ashes of Liverpudlian band The Business, Albert 1, released in 1971, featured future Thin Lizzy, Caravan & Camel keyboard player Jan Schelhaas, future Uriah Heep drummer Lee Kerslake, guitarist Neil Ford and bass guitarist David Paull (soon to join Jonesy). Produced by Yes and ELP engineer Eddie Offord, the album features wonderful material such as 'Got No Time' and 'Mister Jesus.' Albert 1 is one of the few progressive albums of note not receive an officially sanctioned release until now. With liner notes by Jan Schelhaas, National Head Band's only album receives the treatment it deserves with this definitive release from Esoteric Recordings." "Esoteric Recordings are proud to release this classic Jack Bruce album from 1980, the result of a unique collaboration between Bruce and musicians Billy Cobham, Clem Clempson and David Sancious. A wonderful album of diversity, it saw Jack truly on form with such wonderful songs as 'Hit & Run,' 'Livin' Without Ja,' 'Dancing on Air' and 'Bird Alone,' all written with long time collaborator Pete Brown. An overlooked gem from Jack Bruce's catalogue, the album receives an official UK CD release for the first time. This Esoteric release, remastered from the original tapes, follows on the heels of the label's critically acclaimed 6 CD set Jack Bruce retrospective Can You Follow? and is indeed a welcome one." "Expanded release for this classic live album from the masters of Welsh rock. Remastered from the original tapes with two previously unreleased bonus tracks recorded live in the USA in 1975. 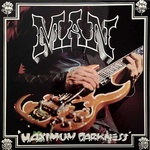 Originally released in 1975, Maximum Darkness was the final album by Welsh rock legends Man for United Artists records. 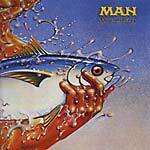 Recorded live in 1975 at the Roundhouse as part of a UK tour, Man were at the top of their game on stage. For this concert they were joined by John Cippolina from San Francisco's legendary Quicksilver Messenger Service. A triumphant concert, the album has become legendary return to the USA early the following year. As part of Esoteric's reissue program of the Man catalogue we are proud to present the remastered album and with two previously unreleased live tracks recorded in California in May, 1975. With superbly remastered sound a lavish booklet with notes by Man's Deke Leonard, this is yet another essential release for fans of Man." "Quintessence came from the Ladbroke Grove scene of the late 1960s. A group of musicians who became darlings of the hippy scene and the underground press along with contemporaries Hawkwind. Quintessence played a freaky form of rock music that embraced Indian music, psychedelia and jazz. They came to public attention in 1969 when they signed to Island Records, for whom they recorded three classic albums. In 1971 they signed to RCA records, recording this classic album as their debut for the label. Comprising studio tracks and a live recording from Exeter University, Self was a classic of the 'underground.' This Esoteric Recordings reissue has been remastered from the original master tapes and also adds two bonus tracks drawn from the band's only single for RCA Neon label. 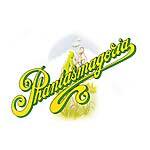 The album's debut on CD is sure to attract the attention of the legions of collectors of progressive rock." "Originally released in 1974, Slow Motion was another classic album in the catalog of Welsh rock legends, Man. Touring extensively to support the record, Man delivered a stunning series of concerts and made a triumphant return to the USA early the following year. As part of Esoteric's reissue program of the Man catalog, we are proud to present the remastered album and with a selection of studio out-takes, including four previously unreleased live tracks recorded in California in May 1975. With superbly remastered sound and a lavish booklet with notes by Man's Deke Leonard, this is yet another essential release for fans of Man." "First-ever UK CD release for this classic album from the masters of Dutch prog rock -- remastered from the original tapes. Three bonus tracks previously unreleased on CD. This, their final studio offering was recorded in England and is akin to later Soft Machine in approach, although still original in construction. Eccentric, accomplished and unique, Supersister's albums are a joy to any fan of original music. Esoteric Recordings are pleased to reissue their classic second album with additional bonus tracks comprising single cuts from 1971 and fully restored artwork. Open your ears to Supersister." Originally released in the Netherlands on Polydor in 1973. Includes a lavish booklet with fully restored artwork, new essay and many photographs. "First ever UK CD release for this classic album from the masters of Dutch prog rock -- remastered from the original tapes, with four bonus tracks. 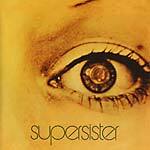 Recently featured in the soundtrack of the film Control about Joy Division, Supersister were one of the most original groups to emerge in Holland in the late 1960s. 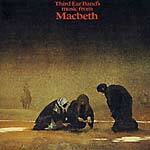 Inspired by the work of Soft Machine and Caravan, the group recorded a quartet of master works. In 1971 they signed to John Peel's Dandelion label and remained a favorite of his. Eccentric, accomplished and unique, Supersister's albums are a joy to any fan of original music. Esoteric Recordings are pleased to reissue their classic second album with additional bonus tracks comprising single cuts from 1971 and fully restored artwork. Open your ears to Supersister." Originally released in the Netherlands on Polydor in 1971. Including a lavish booklet with full restored artwork, new essay and many photographs.